This book is a travelogue of Dr. Rashidi’s country-by-country travels in Africa, Asia, Australia, Europe, Russia, the Pacific and Caribbean Islands, and Central and South America. It also recounts his day-by-day encounters with people, historical markers, art and cultural practices that both separate and unite Blacks around the world. The $45.00 includes the cost of shipping. 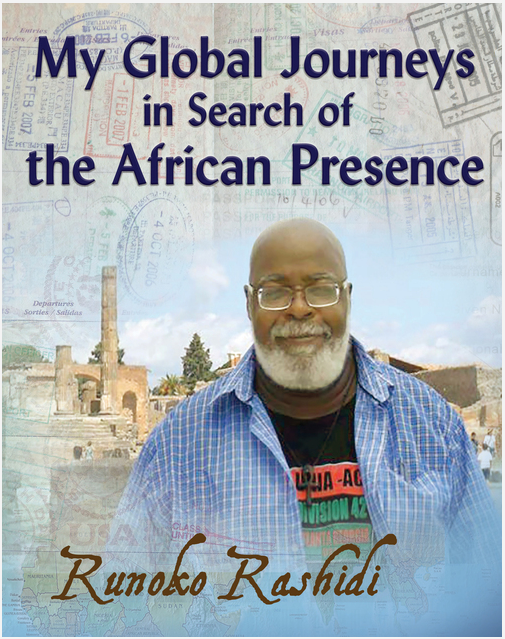 This book documents Runoko Rashidi’s inspired Global Journeys in Search of the African Presence. This unique travelogue records his country-by-country travels in Africa, Asia, Australia, Europe, Russia, the Pacific and Caribbean Islands, and Central and South America. It also recounts his day-by-day encounters with people, historical markers, art and cultural practices that both separate and unite Blacks around the world. It’s a richly-illustrated text with colorful photos primarily taken by the author. The photos do a wonderful job of highlighting the author’s pursuit of global Africa. They also present readers with the same stunning visual African presence that Dr. Rashidi found and still finds as he continues his travels today. 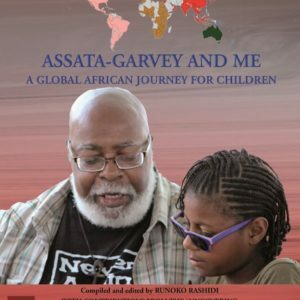 This particular travelogue is unique in that Dr. Rashidi uses it to unite African people all over the world, by pointing to their similarities and unified beginnings—Mother Africa. Dr. Rashidi’s global search continues. Today he regularly takes groups to the many distant places he has traveled (over 115 countries) and new ones that he crosses off his even shorter lists of places he hasn’t visited. With each group he leads, he gets to experience his passion anew, ensuring that a new generation will share the inspiration that propels him. If you are in the U.S. and wish to order this book directly from Dr. Rashidi, the book is $45.00, which includes the cost of shipping. Simply pay to Runoko@hotmail.com via PayPal or through his GoFundme campaign. Don’t forget your mailing address!